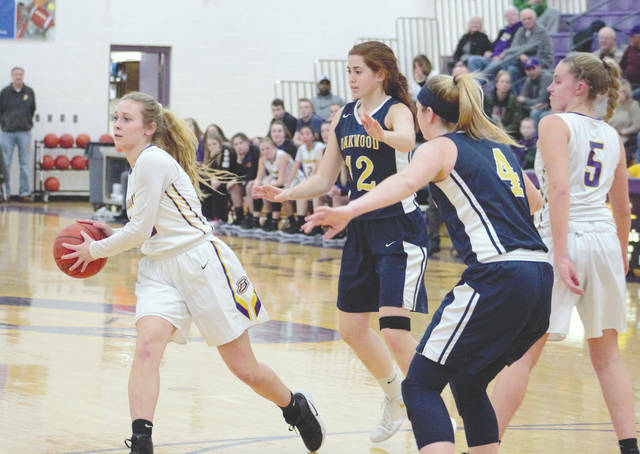 https://www.xeniagazette.com/wp-content/uploads/sites/32/2019/01/web1_MescherPaulTrap_PS.jpgThe Bellbrook student section gets rowdy as Golden Eagles senior Maria Mescher and junior Kayla Paul execute a trap off of a full-court press defense forcing a turnover, Jan. 26 against Southwestern Buckeye League opponent Oakwood. 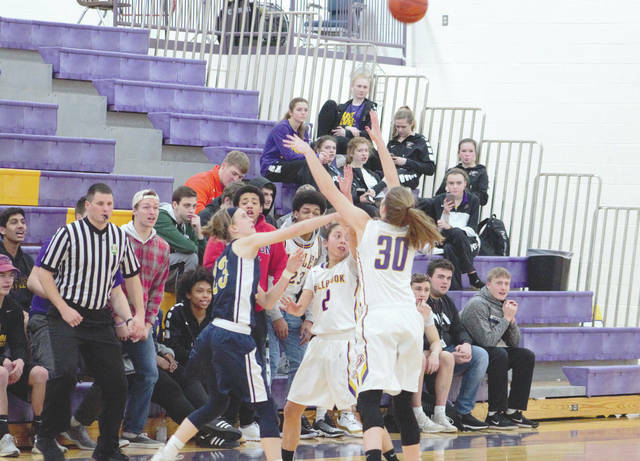 https://www.xeniagazette.com/wp-content/uploads/sites/32/2019/01/web1_PainterPass_PS.jpgBellbrook junior Gigi Painter passes to the corner for an open three against visiting Oakwood. The Golden Eagles scored their first 15 points off 3-pointers in Saturday’s home win.